Using a custom made, high resolution 1.8" color display, these instruments provide excellent daylight readability, even in direct sunlight. They include a rotary control plus 2 independent keys for easy menu navigation and to access specific instrument features. The Vega range has a switch mode power supply with a voltage range of 8 to 30V DC, allowing the instrument to be used in both 12V and 24V aircraft as well for reduced power consumption. It also features built in reverse and over voltage protection. All engine monitoring Vega instruments have the ability to interface to a MGL Avionics RDAC unit. Instruments format details and template in "Vega_DIM_EN.pdf"
Field upgradeable firmware. 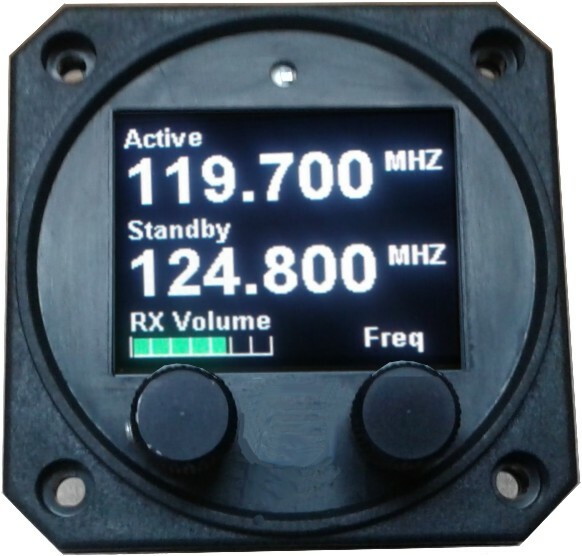 Requires optional cable: "USB cable" or "RS232 cable"
The AHRS-1 / MAG-1 is a 2 1/4” sunlight readable color display instrument providing a display for an artificial horizon reference system (AHRS), an advanced digital compass, or both depending on which sensor packages is connected. Do you want to try an MGL Vega AHRS-1? Its possible right now by downloading the simulation program (requires a PC running Windows NT, 2000, XP or VISTA, W7, W10) which simulates the operation of the "Vega" instrument. The simulator allows you to almost fully operate a virtual "Vega" instrument. Perfect for learning how to use it without using a physical instrument, at home or at your club, ! The ALT-5 is a 2 1/4” sunlight readable encoding altimeter and a wide range vertical speed indicator. The altimeter contains an internal high accuracy 24 bit digital altitude sensor which calculates altitude from -1000 ft up to a maximum of 35000 ft. The ALT-5 outputs various formatted RS232 serial data protocols compatible with serial input transponders such as that from Garmin, Magellan, Northstar, Trimble, Microair etc. 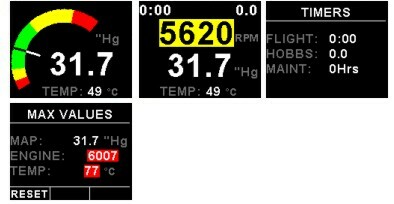 The altimeter can display altitude in feet or meters and local pressure can be set in millibars or inches of mercury. The ALT-5 also features a user settable altitude bug and an encoder test function. 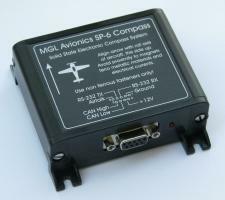 The ALT-5 provides a parallel Gillham code interface when used in conjunction with the MGL Avionics CNV-ALT. The ALT-5 outputs various formatted RS232 serial data protocols compatible with serial input transponders such as that from Garmin, Magellan, Northstar, Trimble, Microair etc. Do you want to try an MGL Vega ALT-5? Its possible right now by downloading the simulation program (requires a PC running Windows NT, 2000, XP or VISTA, W7, W10) which simulates the operation of the "Vega" instrument. The simulator allows you to almost fully operate a virtual "Vega" instrument. Perfect for learning how to use it without using a physical instrument, at home or at your club, ! The ASI-4 is a 2 1/4” sunlight readable instrument that provides a wide range airspeed indication in both digital and analog tape formats. Airspeed is based on the pressure generated by a pitot tube system and a static port is provided as well for use by high speed aircraft. In addition, the ASI-4 provides a flight timer since takeoff and records the maximum airspeed reached. Airspeed can be indicated in statute miles per hour (mph), kilometers per hour (km/h) or nautical miles per hour (kts). 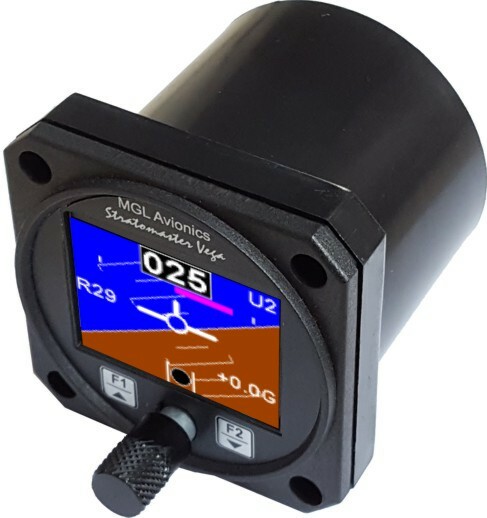 The analog airspeed tape can be scaled according to the aircraft’s flying speed range and ranges for Vs0, Vs1, Vfe, Vno and Vne can be set. The ASI-4 also provides a programmable Vs and Vne airspeed alarm output. ASI sensitivity can be calibrated by the user to cater for errors caused by pitot tube placement. The ASI-4 instrument measures airspeed from 16mph to 250mph and is well suited to slower aircraft due to very good sensitivity and linearity at low air speeds. Do you want to try an MGL Vega ASI-4? Its possible right now by downloading the simulation program (requires a PC running Windows NT, 2000, XP or VISTA, W7, W10) which simulates the operation of the "Vega" instrument. The simulator allows you to almost fully operate a virtual "Vega" instrument. Perfect for learning how to use it without using a physical instrument, at home or at your club, ! Do you want to try an MGL Vega ASV-1? Its possible right now by downloading the simulation program (requires a PC running Windows NT, 2000, XP or VISTA, W7, W10) which simulates the operation of the "Vega" instrument. The simulator allows you to almost fully operate a virtual "Vega" instrument. Perfect for learning how to use it without using a physical instrument, at home or at your club, ! 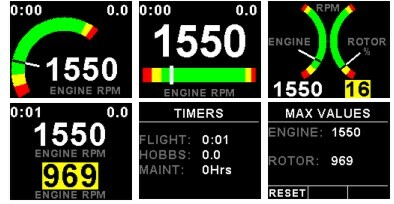 The Vega EMS-1 is a 2 1/4” universal engine monitor color display instrument. The EMS-1 contains all the necessary functionality to replace several engine monitoring instruments. All information is displayed in an easy to read format on a high resolution wide viewing angle 1.8” 1000cd/m2 sunlight readable color display. The EMS-1 light weight, small size and high level of functionality makes it an excellent choice for all types of engines. The EMS-1 can also be interfaced via the CAN bus to an optional external RDAC unit (Remote Data Acquisition Computer). This allows for easier installation as the RDAC unit is normally mounted in the engine compartment. 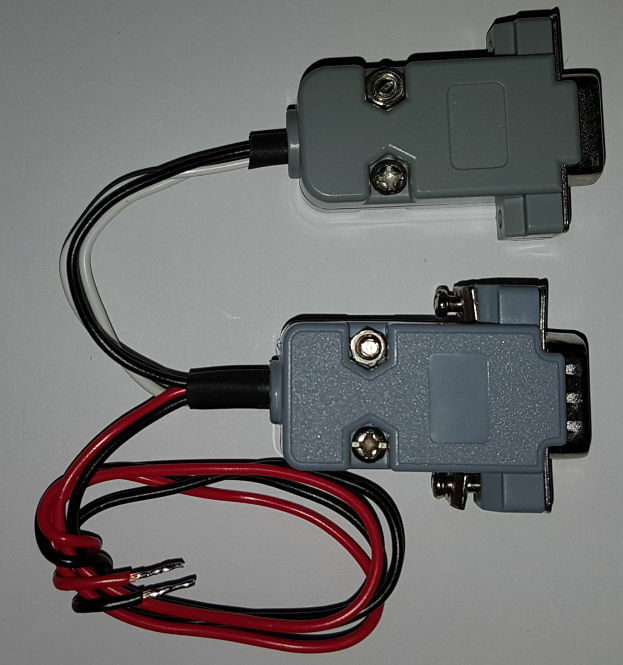 Includes a RS232 serial output for interfacing to external equipment e.g dataloggers etc. Manifold pressure can be displayed in millibar (mB) or in inches of Mercury (“Hg”). Current measurement requires optional active shunt or magnetic current sender. Do you want to try an MGL Vega EMS-1? It is possible right now by downloading the simulation program (requires a PC running Windows NT, 2000, XP or VISTA, W7, W10) which simulates the operation of the "Vega" instrument. The simulator allows you to almost fully operate a virtual "Vega" instrument. Perfect for learning how to use it without using a physical instrument, at home or at your club, ! The INFO-1 is a 2 1/4” sunlight readable instrument that provides multiple indications (G-force, RTC, STopwatch, Timer, Alarm, OAT, Volts, Current) in both digital and analog tape formats. Do you want to try an MGL Vega INFO-1? Its possible right now by downloading the simulation program (requires a PC running Windows NT, 2000, XP or VISTA, W7, W10) which simulates the operation of the "Vega" instrument. The simulator allows you to almost fully operate a virtual "Vega" instrument. Perfect for learning how to use it without using a physical instrument, at home or at your club, ! The FF-4 is a 2 1/4” sunlight readable color display instrument intended for efficient monitoring of fuel related information for single or dual fuel tanks. The FF-4 has many display configurations based on single/dual flow senders, single/dual level senders and a fuel pressure sender. 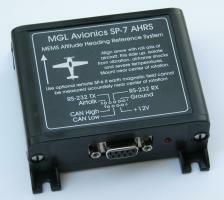 MGL Avionics supplies a lightweight dual range fuel flow sender that is ideally suited for the FF-4. Fuel flow senders from other manufactures (e.g. Floscan) are equally suitable. The FF-4 has the ability to connect to a NMEA enabled RS232 GPS receiver for range based calculations. It can also accept a manually entered estimate cruising speed if a GPS is not available. Do you want to try an MGL Vega FF-4? It is possible right now by downloading the simulation program (requires a PC running Windows NT, 2000, XP or VISTA, W7, W10) which simulates the operation of the "Vega" instrument. The simulator allows you to almost fully operate a virtual "Vega" instrument. Perfect for learning how to use it without using a physical instrument, at home or at your club, ! The MAG-1 is a 2 1/4” sunlight readable color display instrument providing a display for an advanced digital compass (requires MGL Avionics SP-6 or SP-9 sensor package). Do you want to try an MGL Vega MAG-1? Its possible right now by downloading the simulation program (requires a PC running Windows NT, 2000, XP or VISTA, W7, W10) which simulates the operation of the "Vega" instrument. The simulator allows you to almost fully operate a virtual "Vega" instrument. Perfect for learning how to use it without using a physical instrument, at home or at your club, ! Do you want to try an MGL Vega MAP-3? It is possible right now by downloading the simulation program (requires a PC running Windows NT, 2000, XP or VISTA, W7, W10) which simulates the operation of the "Vega" instrument. The simulator allows you to almost fully operate a virtual "Vega" instrument. Perfect for learning how to use it without using a physical instrument, at home or at your club, ! The RPM-1 is a 2 1/4” sunlight readable color display instrument providing two universal RPM inputs that is primarily intended to measure engine and/or rotor RPM. 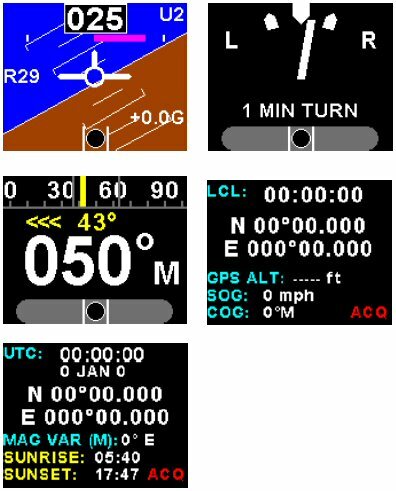 The display can be configured to display single or dual RPM or it can be configured to display engine and rotor RPM as used in helicopters and gyroplanes. 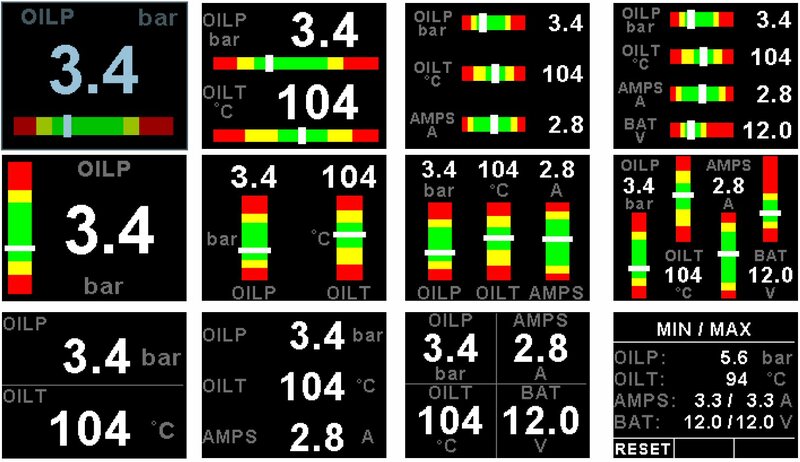 The RPM-1 also has a maximum values display screen as well as a handy magneto check function to easy diagnose magneto problems. The RPM-1 can also be interfaced via the CAN bus to an external RDAC unit (Remote Data Acquisition Unit). This allows for easier installation as the RDAC unit is normally mounted in the engine compartment. Do you want to try an MGL Vega RPM-1? It is possible right now by downloading the simulation program (requires a PC running Windows NT, 2000, XP or VISTA, W7, W10) which simulates the operation of the "Vega" instrument. The simulator allows you to almost fully operate a virtual "Vega" instrument. Perfect for learning how to use it without using a physical instrument, at home or at your club, ! The TC-4 is a 2 1/4” sunlight readable color display 4 channel thermocouple color display instrument. Instrument can be configured for 5 different temperature display screens. The display can be configured to group EGTs and CHTs to common settings or each thermocouple channel can be independently displayed with individual programmable high alarm and probe type. 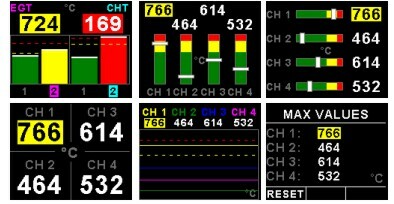 The TC-4 also has a trend graph and maximum values display screen. The TC-4’s high accuracy is due to its built in thermocouple linearization curves and cold junction compensation techniques. Temperature probes can be common J, K or E type thermocouple probes as used in CHT and EGT senders. Temperatures can be displayed in degrees Celsius or degrees Fahrenheit from -100ºC to 1200ºC (-148ºF to 2192ºF). The TC-4 also features a built in engine leaning facility which allows the pilot to optimize the fuel mixture according to peak EGT temperatures as well as a cruise mode facility to provide instant identification of changing EGT/CHT trends. The TC-4 can also be interfaced via the CAN bus to an external RDAC unit (Remote Data Acquisition Unit). This allows for easier installation as the RDAC unit is normally mounted in the engine compartment. Do you want to try an MGL Vega TC-4? It is possible right now by downloading the simulation program (requires a PC running Windows NT, 2000, XP or VISTA, W7, W10) which simulates the operation of the "Vega" instrument. The simulator allows you to almost fully operate a virtual "Vega" instrument. Perfect for learning how to use it without using a physical instrument, at home or at your club, ! The TP-3 is a 2 1/4” sunlight readable 4 channel universal analog input color display instrument. 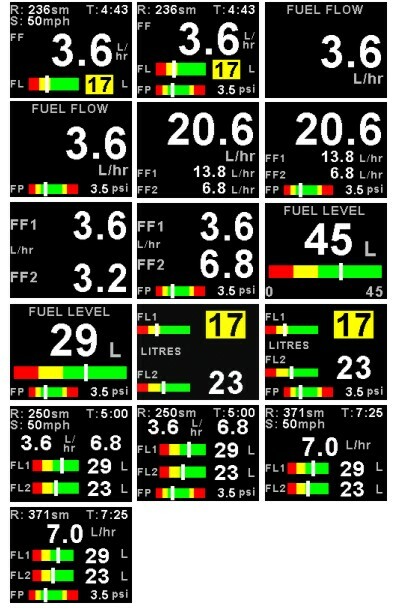 Each channel can be individually programmed to display either pressure, temperature, current or volts from a universal analog input that can interface to many sensors such as oil temperature, coolant temperature, oil pressure, fuel pressure, manifold pressure, boost pressure and many more. Do you want to try an MGL Vega TP-3? It is possible right now by downloading the simulation program (requires a PC running Windows NT, 2000, XP or VISTA, W7, W10) which simulates the operation of the "Vega" instrument. The simulator allows you to almost fully operate a virtual "Vega" instrument. Perfect for learning how to use it without using a physical instrument, at home or at your club, ! Seeking a standard 2"1/4 control head for your V16 or N16? The Vega head is your choice. Available February 2018. Note: The Vega head can be used either as COM or NAV head (not both at the same time due to limited screen area). You can connect two (or more) heads to a single V16/N16 combination. Complete your V16 and/or N16 system with a 2"1/4 format controller. Can be used as COM or NAV control head. Three axis magnetometer with accelerometer based tilt compensation. Relaxed installation requirements, no error due to bank or pitch alignment. The 6HRS001 package is made up of 2 units, the SP-6 Compass module with a Vega MAG-1 display. Angular rates up to 250°/s on any axis, G-forces up to 6G. The 6HRS001 package is made up of 2 units, the SP-7 AHRS module with a Vega AHRS-1 display. The 76AHRS001 package is made up of 3 units, the SP-6 Compass module, SP-7 AHRS module and a Vega AHRS-1 display. Angular rates up to 300°/s on any axis, G-forces up to 6G. 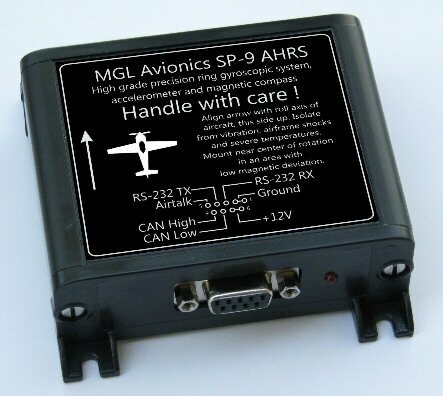 The 9AHRS001 package is made up of 2 units, the SP-9 AHRS module and a Vega AHRS-1 display. 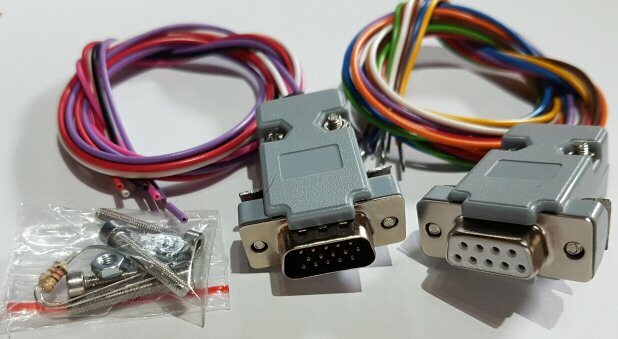 This cable contains a USB to RS-232 converter and allows the connection of a Vega instrument to a PC for firmware updates of the instrument. Requires a DC supply (8 to 30V, approx 100mA @ 12V) to power the Vega instrument. This cable allows the connection of a Vega instrument to a PC for firmware updates of the instrument. The following table contains download links for the most recent versions of firmware and simulator for the Vega instruments. At power up: they are displayed on the startup screnn. First line will be “MODEL: xxxxx"
Second line will be “FIRMWARE: Vx.yz"
Sign-up to our MGL Information Letter to receive new product informations.